General Motors has serious intentions regarding a crossover vehicle based on the model Volt. The American automaker intends to fill a gap in its model range with the new generation crossover model. Rumor has it that the official name for the new car is going to be “Crossvolt” and that it’ll be an electric vehicle. 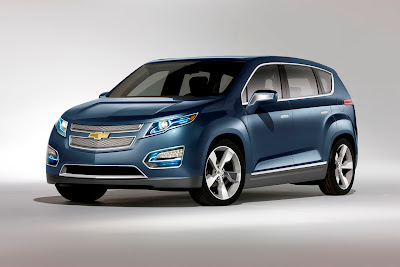 Judging by the name, it’s obvious that the new car is going to be a crossover version of the current Volt. The engine might be the 115kW (154 hp) electric motor with the 1.4 L petrol engine featured on the Volt. However, this new crossover model will have some extra weight compared to the Volt and that could drive GM to develop a more powerful engine to cope with the car’s extra pounds. In addition to the production of Crossvolt, GM already revealed the Chevrolet Volt MPV5 concept in 2010. This model in particular has a 108.6 inch (2,760-mm) wheelbase which compared to the standard Volt is 0.6 inch (15 mm) longer, while the body is 7.1 inch (181 mm) longer, 2.8 inch (73 mm) wider and 7.1 inch (182 mm) taller. The interior of the MPV features center stack and gauge cluster with two-tone leather seats. Like any crossover that rolls out of the Chevrolet assembly line, the seats position offers the maximum comfort level available. Cargo space is generous with 863 liters of space behind the second row and 1764 liters available with the seats folded.